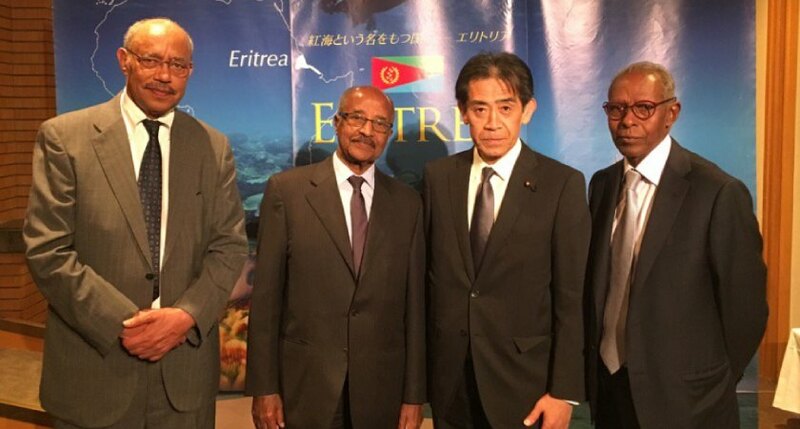 Eritrea’s diplomatic engagements have been vibrant especially in late March through to April 10. Foreign Minister Osman Saleh has been to six capitals in a space of two weeks. His most recent being to the Saudi Arabian capital Riyadh, where he met with the King Salman bin AbdelAziz delivering a letter from President Isaias Afwerki to the host. 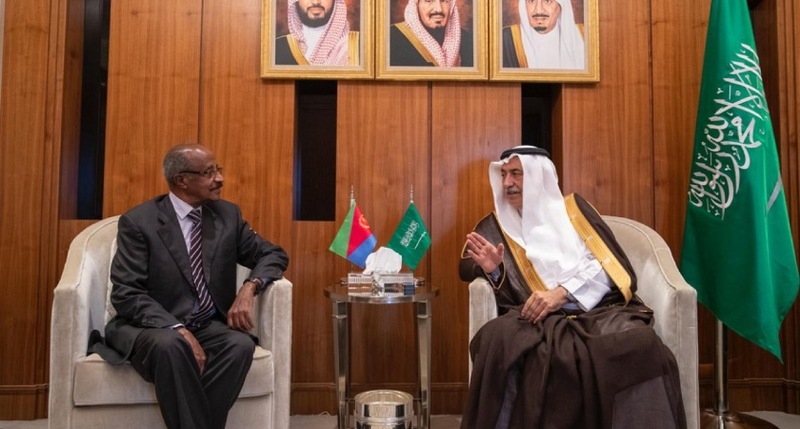 Minister of Information, Yemane Meskel said, Afwerki’s letter contained words of gratitude for Saudi role in supporting the Eritrea – Ethiopia peace deal of July 2018. The two nations signed a peace deal in Riyadh last year. “King Salman further underlined that the Kingdom will shoulder its responsibilities for regional peace & security,” Meskel added. 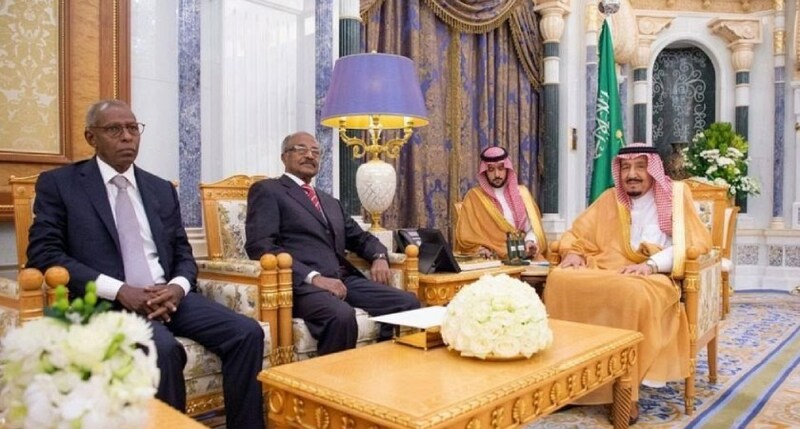 High-ranking Saudi ministers and officials including its envoy to Eritrea attended meeting, reports noted. 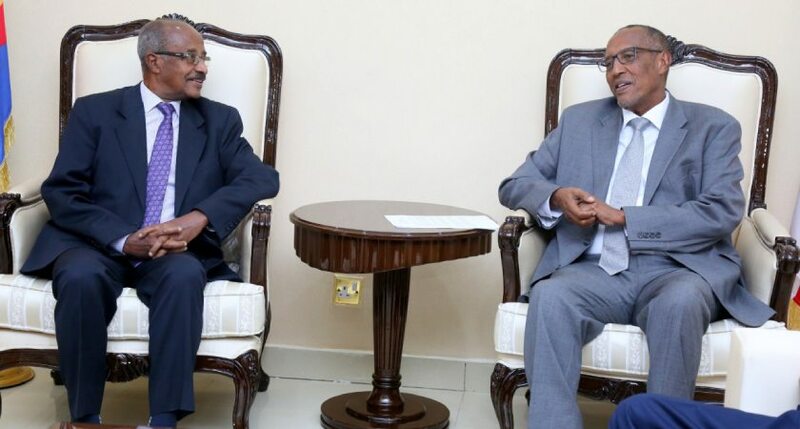 Saleh was accompanied by presidential special adviser Yemane Ghebreab. 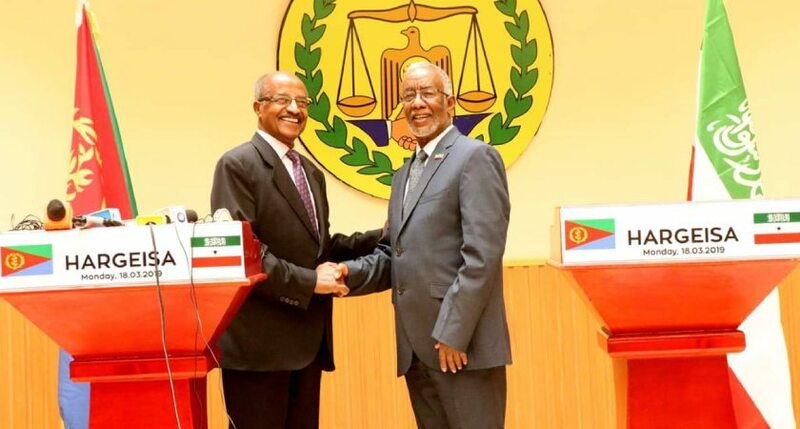 The duo have been the face of Eritrea’s ignited foreign policy since last year through to this year. 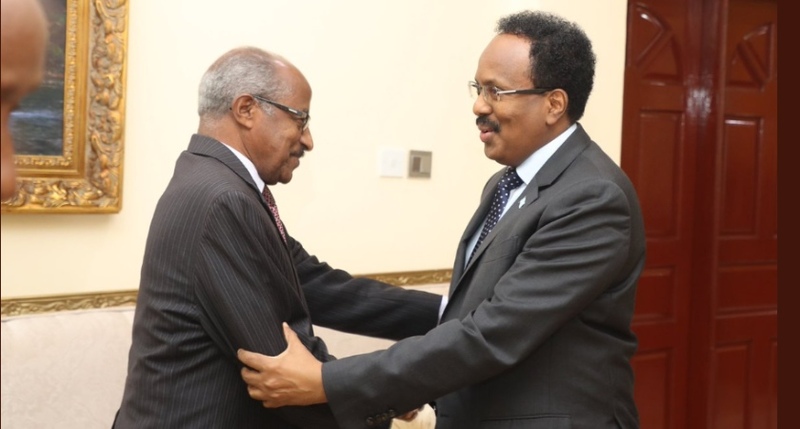 Before the trip to Jeddah, both men had visited Somalia on a two-day official visit meeting with President Abdullahi Mohammed Farmaajo for talks. It was the fourth Eritrean visit to Mogadishu in the past few months. 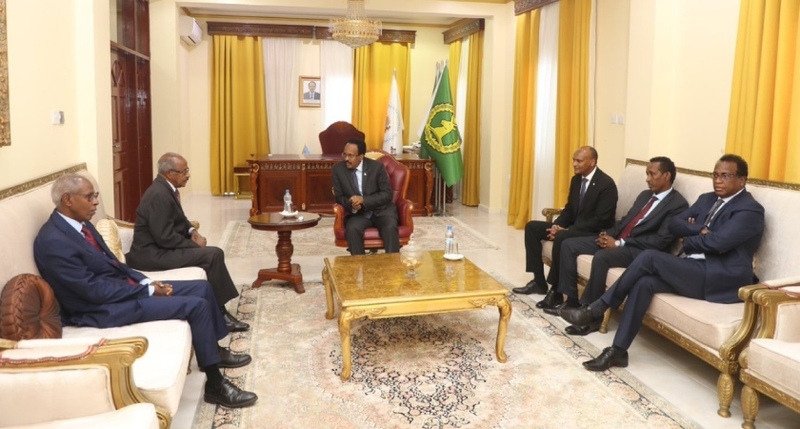 The Eritrean delegation also visited Hargeisa, capital of Somaliland in March. 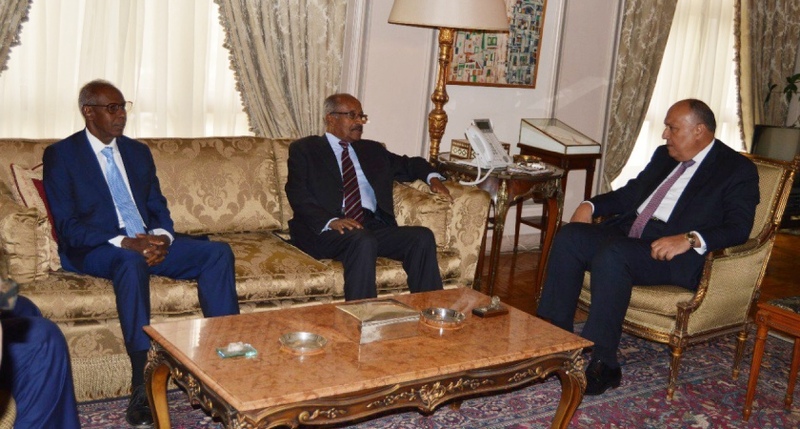 Between the Somaliland and Somalia visits, Saleh and Gebreab were in Cairo in early April. In their meeting with Egypt Foreign Minister Sameh Shoukri, the two sides held frank and extensive discussions on bilateral cooperation as well as issues pertaining to the Nile Basin, Horn of Africa & Red Sea Region. 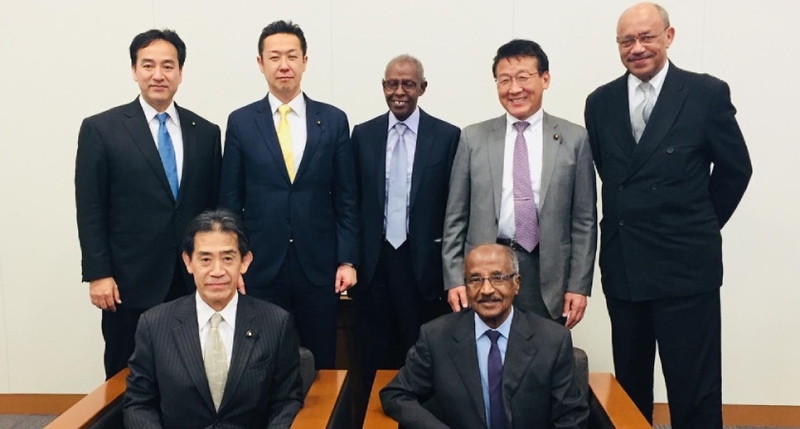 A late March trip to Japan also led to the two nations agreeing to reinforce bilateral ties and signing a number of agreements especially ahead of the 7th Tokyo International Conference on African Development (TICAD7) scheduled for August this year.